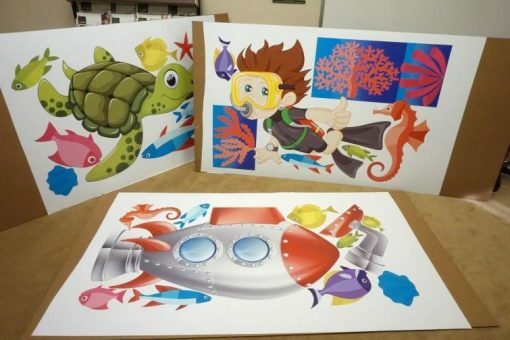 These large vinyl panels range from 4’ x 6’ to 4’x 8’ and they are self-adhesive for easier installation. I have tested it on sheet-rock walls as well as block walls and the visuals stay in place without curling. Buy the Bundle to decorate several Classrooms!